The introduction of new approaches to numerically approximate higher order ordinary differential equations (ODEs) is vastly being explored in recent literature. The reason for adopting these numerical approaches is because some of these higher order ODEs fail to have an approximate solution or the current numerical approach being adopted has less accuracy. 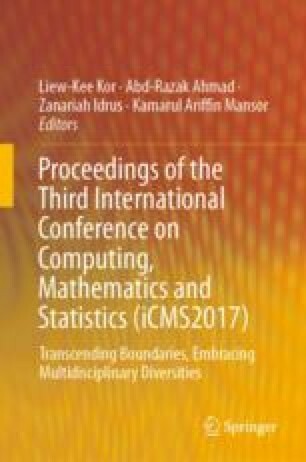 The application of an implicit block method for solving fourth order ordinary differential equations (ODEs) is considered in this article. The solution encompasses both initial and boundary value problems of fourth order ODEs. The implicit block method is developed for a set of six equidistant points using a new linear block approach (LBA). The LBA produces the required family of six-step schemes to simultaneously evaluate the solution of the fourth order ODEs at individual grid points in a self-starting mode. The basic properties of the implicit block method are investigated, and the block method is seen to satisfy the property of convergence which is displayed in the numerical results obtained. Furthermore, in comparison to works of past authors the implicit block method gives more impressive results.